Home > Information > Blog > Looking for cheap contact lenses? Buying contact lenses online will save you money. There’s no need to pay much higher prices for the exact same contact lenses from a bricks and mortar retail store. 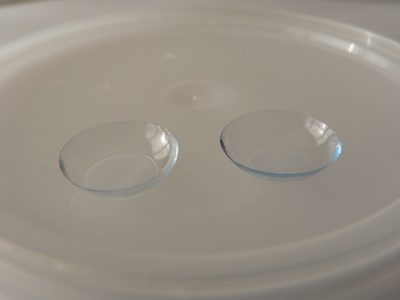 EYESONLINE has these contact lenses for sale at a fraction of the cost. How are we able to sell contact lenses at such cheap prices? Well, for starters, we don’t have all the overheads of a physical store: rent, wages, electricity, etc. We’ve also been in the eyesight correction business for a long time—since 1983 to be precise—so we have long-established supply networks that allow us access to the best deals. At EYESONLINE, we don’t just talk about cheap contact lenses, we put our money where our mouth is. We’re so sure that our prices are the best you’ll find anywhere that we’ve created a Lowest Price Guarantee. Our guarantee means that if you happen to find a cheaper price on an identical item in another (legitimate) online store, we won’t just match that price—we’ll beat it. Why would you shop anywhere else? EYESONLINE guarantees that you’ll save money on contact lenses by shopping with us. Ever had an experience where you think you’re getting a great deal online, only to reach the final stages of checkout and see a really expensive postage cost added to your order? This can be really frustrating. I can also make you wonder whether you should have just jumped in the car and bought contact lenses from a retail store. Well, at EYESONLINE, there are no nasty postage charge surprises. In fact, we offer free postage Australia-wide on any orders over $115—just another reason why we have the cheapest contact lenses available anywhere. We only sell quality contact lenses from leading brand manufacturers. There are no cheap imitations here! Our online store has a range of cheap contact lenses as well as contact lens solutions and lens cleaning products. Visit our online store today and start saving money on contact lenses. Contact lenses have many benefits over wearing glasses, including being virtually invisible and allowing you to participate in sports. But as most contact lenses need to be replaced either daily, weekly, fortnightly or monthly, there are ongoing costs involved in wearing them. Of course, there are with glasses too—especially if you lose them, sit on them, or break them—but people don’t think about this as often. If you’re frustrated with how much you’re paying for contact lenses, we can help. Find out how to save money on contact lenses by reading our article below. If you have been prescribed eyesight correction in the past, it’s recommended that you have a check-up with your optometrist or eyesight specialist at least every 12 months to make sure your prescription is still accurate. Even if your particular eyesight correction needs haven’t changed since last time, make sure you get an updated prescription that will remain valid until your next appointment (prescriptions are usually only valid for 12 months). This will save you money making extra appointments just to get a new prescription. Sometimes optometrists will suggest a specific brand for your eyesight correction based on fit and comfort—which is very important. But other times they will simply prescribe one of many brands that could service your needs because they are more familiar with it or have a personal preference. Not all brands of contact lenses cost the same, so it’s worth asking your optometrist if you can switch to another brand without affecting the quality of your eyesight correction. This shouldn’t come as a huge surprise to anyone, but buying contact lenses from online retailers can save you a lot of money. Online stores don’t have the same costs as physical retail stores and have the flexibility to do better deals. At EYESONLINE, we sell the highest quality contact lenses from specialist brands at the cheapest prices you’ll find anywhere. Sometimes people avoid buying contact lenses online because they worry whether they can trust the retailer. EYESONLINE have been selling eyesight correction products through our private practice in Brisbane since 1983, and in more recent years through our online store. We are an Australian-owned company that takes pride in offering you great deals on contact lenses. Shopping at our online store is so easy! When you set up your user account, you will be able to do things like tracking your package, managing your billing method, changing or cancelling your order, printing invoices or changing your personal details. With the user account, you will also be able to set up a recurring order so you never run of of your contact lenses! Stop paying more for your contact lenses, shop at EYESONLINE.